Since its founding in 1998, the El Shaddai property has undergone numerous changes and additions. The development of these features are examples of how God has been faithful to bring the vision for this ministry to life. This one-room church building is bringing hope and truth not only to the children of El Shaddai, but to the people of the surrounding community as well. Charmain is an ordained minister, and services are held every Sunday morning at 11am. Once a month, guest Pastor Dumsani travels from Mbabane to preach to El Shaddai’s congregation. The Children’s Home exists in two locations: a home in a city off the mountain for infants and children under age 6, and several dormitories on the mountain including a boy’s dorm and a girl’s dorm, and separate dorms for high school students. From infants to high school seniors, El Shaddai is presently home to approximately 84 children. 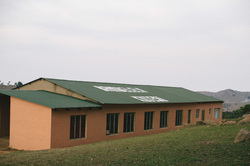 El Shaddai Primary School (grades 1-7) was the first primary school in Swaziland that did not charge school fees for its students. While the school was built by El Shaddai Ministires, children from the community attend the school along with the children of El Shaddai. 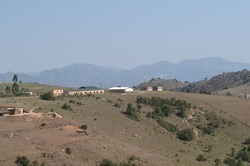 The school is currently assisted by Swaziland government curriculum and teachers, although the ultimate vision is to use Christian curriculum taught by Christian teachers. This past year, we had to pull our high school students out of the local high school due to the environment. Not only was the quality of education not up to our standards, but our youth were being influenced by the strong culture of alcohol and drugs (primarily marijuana). These are common themes in all Swazi high schools, and we felt it was best for our students to be taught at home. Adjacent to El Shaddai Church, the clinic is open twice per month to the children and staff of El Shaddai as well as residents of the surrounding community at no charge. It is operated by licensed medical professionals to treat those unable to pay for medical care. The property boasts acreage used exclusively to raise farm animals (currently chickens and pigs) as well as a large plot of land for gardening. 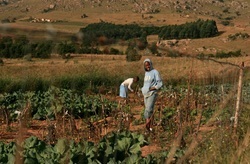 Both the farm and garden help offset food costs at the Children’s home and provide maize to the school and vegetables to the surrounding community.